This gentle anthem, based on Psalm 72:18-19, offers a fitting ascription of praise to the One ""who alone does wondrous things"". The simple melody lies comfortably within a one-octave range while also finding strong support from the keyboard accompaniment. 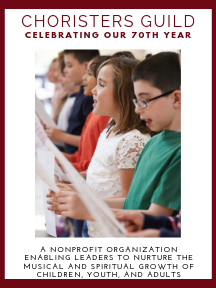 Sung in unison, the anthem works well for younger and/or older children's choirs. Budding two part choirs, however, will enjoy the final section of the piece that offers the chance for two part singing.